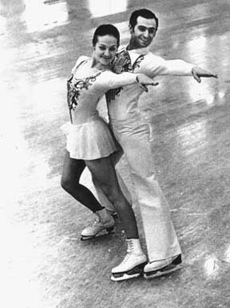 Gennadi Karponosov and partner Natalya Linichuk were gold medalists at the World Championships of 1978 and 1979, and the 1980 Olympic Games. The Soviet ice dancers were bronze medalists at the 1974 and 1977 World Championships and won the silver at the 1980 World event. They also finished fourth at the 1976 Olympics. 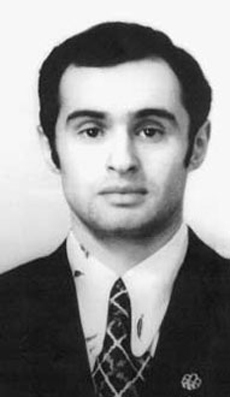 Karponosov and Linichuk won the European Championships in 1979 and 1980, after taking a silver medal in 1978and bronze medals 1974 through 1977. The pair won the World Universiade in 1972. On July 31, 1981, following their retirement as international competitors, Karponosov and Linichuk were married. The Karponosov’s re-emerged as a coaching team, with such pupils as Olympic gold medalist Oksana Baiul of the Ukraine, and the Russian Ice Dance teams of Oksana Gristchuk and Evgeni Platov, and Angelika Krylova and Oleg Ovsiannikov. Gristchuk and Platov were Olympic gold medal winners in 1994. Krylova and Ovsiannikov won the silver medal at the 1998 Winter Olympics. Gennadi and Natalya’s ice dancers also won World Championships in 1994, 1995, 1996, 1998, and 1999.